I’ve been asked to do a couple of Australian animals in my concept range which I have now done. They are the Kangaroo and the Koala. 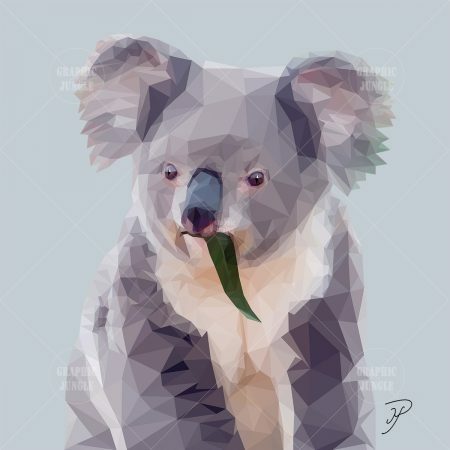 (The Koala is pictured eating a eucalyptus leaf.) I’ve also added the Stag as a trip to the western isles of Scotland is on the agenda for later in the year. Going to take up a canvas to give our hosts at Port Appin. NOW THE HEDGEHOG IS ADDED TO THE GRAPHIC JUNGLE FAMILY! Following many requests the Hedgehog has now been added to the Graphic Jungle family. This was a complex piece of artwork trying to convey “prickles” by the use of triangles but it works wonderfully and gives the little fellow character. We hope you like it as much as we do. LATEST ADDITION TO THE GRAPHIC JUNGLE IS THE PIG & HARE! The latest artwork of the Pig and Hare are now added to my concept of Graphic Jungle. 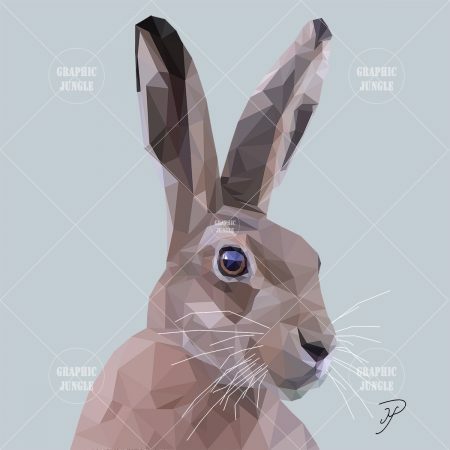 I was specifically asked for these by a client but as Hares and Pigs are so popular I thought I would include them in the Graphic Jungle range. Do hope you like them. 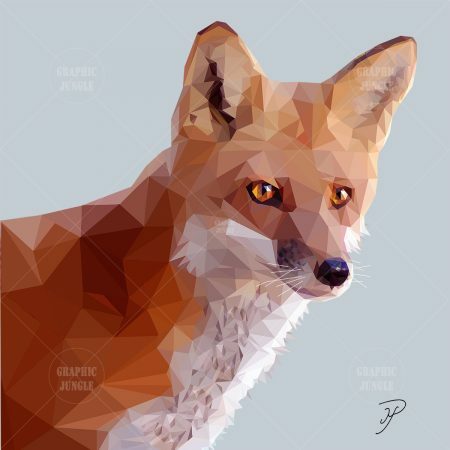 A FOX AND OWL JOIN THE GRAPHIC JUNGLE & CARDS ARE ON THEIR WAY! A Fox and an Owl have now been added to the Graphic Jungle images. The Graphic Jungle will very soon be available as blank greeting cards. More news shortly…exciting times! I have now completed the latest artwork for my concept of Graphic Jungle. It is of a big brown grizzly bear. Hope you like it! 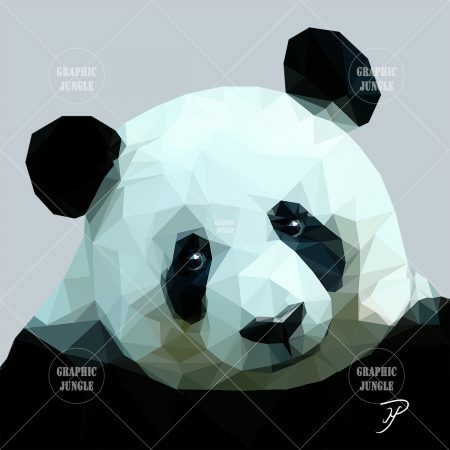 Panda Graphic Jungle Image Now Added! Following many requests I have now completed the Graphic Jungle image of a Panda. If there any other animals that you feel I should draw please let me know via the contact page. New Graphic Jungle Images Added! Four more images have been added to the Graphic Jungle. 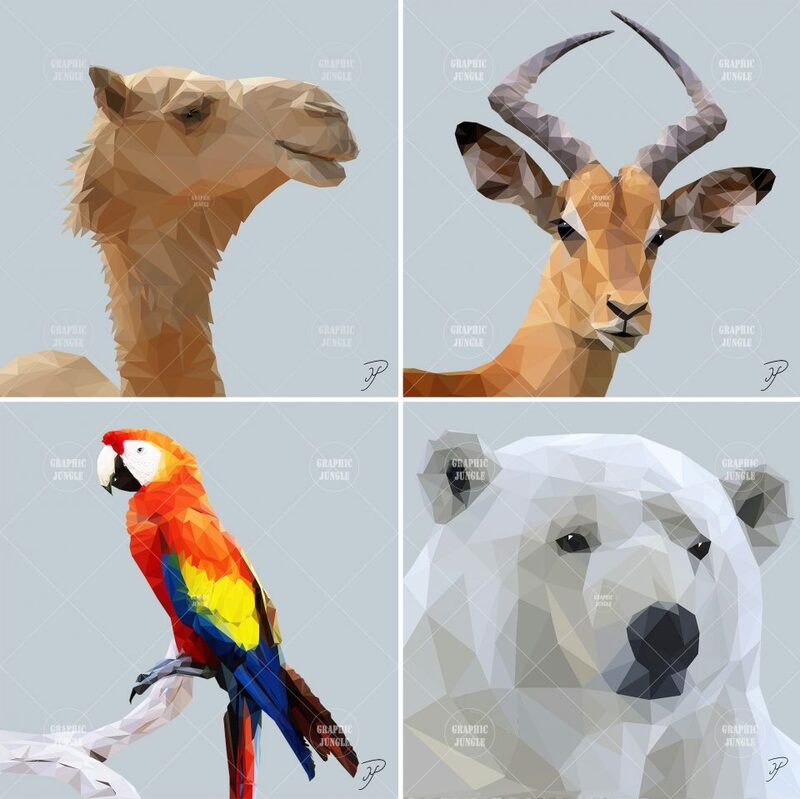 They are a Camel, Impala, Parrot and Polar Bear. Please contact me if you would like to see a specific animal in my collection that I haven’t done as yet. This website will be a window on the many and varied types and styles of artwork by International Award Winning Cartoonist & Illustrator Mike Payne. His distinctive artwork will now be able to be purchased with a click of a button in The Mike Payne Studio Shop. In a month or two Mike will be putting on the Mike Payne Studio website some original new artwork in acrylics on boxed canvas at various sizes. This artwork will combine Mike’s cartooning and humour with bright engaging colours creating modern innovative artwork for interior design. Graphic Jungle is a new concept by Mike Payne. 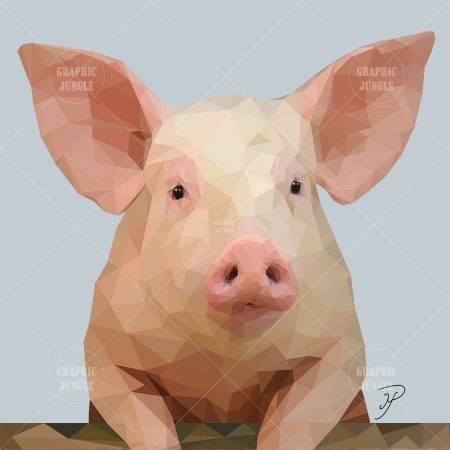 The images are all constructed purely with coloured triangles which give the artwork a modern, graphic, three dimensional and funky look. This new and exciting concept is proving very popular and is quite a departure from the work Mike has done previously. All canvases in this collection are limited editions of 150. SPECIAL OFFER: “The Big Five of Africa” – Buy a collection of five canvases for the price of four. POPART! consists of a range of graphic and emotive images of Pop and Film Stars past and present by Mike Payne. The icons imagery is very dramatic and memorable. The subjects themselves are well known and in many cases very much missed. From Freddie Mercury to George Michael and from David Bowie to Audrey Hepburn, this new concept is certainly a change from the work Mike has previously done. All Aluminium Dibond Artwork in this collection are limited editions of 150. SPECIAL OFFER: Buy a collection of four Aluminium Dibond prints for the price of three. They’ll look great together.